Are you winning your Zero Moment of Truth? Currently, I am sorting out my ZMOT. It is a bit of a challenge but it is at the same time a huge opportunity. You’re wondering what I am blabbing on about? 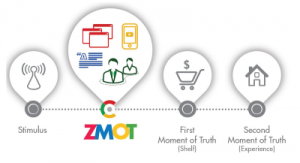 Let me, then, introduce you to ZMOT is, why it so important and how we can take advantage of it. ‘ZMOT – Winning the Zero Moment of Truth’ was a report published by Google back in 2011. It changed the way we look at marketing. First came the Stimulus, the moment when someone decided they wanted to buy something. Then came FMOT, the First Moment of Truth, which occurred when the buyer checked out the choice of alternatives in store on the shelf and made the decision what to buy. Finally came the Second Moment of Truth, which was the experience of whatever had been purchased. You see, before the internet was everywhere, it was not easy to find reliable information. It took an effort to find reviews, comparisons or tests of whatever we wanted to buy. We had to buy Which? Magazine, or specialist publications, or make a trip to our local library to consult these magazines there and hunt for the right recommendations. Now, we have entire libraries at our fingertips anytime we want. We have become massive information gatherers because there are no longer any barriers to finding information. And because research has become easy and instantly available, people do a lot more of it. We take more time to gather more information and to separate the wheat from the chaff, or real from fake reviews. We research, read reviews, compare, talk to friends, and to strangers on forums. And that is ZMOT, the Zero Moment of Truth. This Moment that happens online, on Search Engines, on YouTube and Social Media. But just because it is called the Zero Moment does not mean that it is short. On the contrary, the Zero Moment of Truth can take a very long time compared to the actual purchase. But however long it takes, ZMOT slots in between the Stimulus and FMOT, the First Moment of Truth. By the time a buyer gets to the shelf, the decision has already mostly been made. It is pretty much a done deal. That is why we have to be there when our clients begin to look for our services. At the moment of search and research, the Zero Moment. The Zero Moment is now a huge opportunity for us to engage, connect and build trust when our future clients are looking. Of course, for that to happen, we have to be visible, not just on our websites but wherever our clients are. 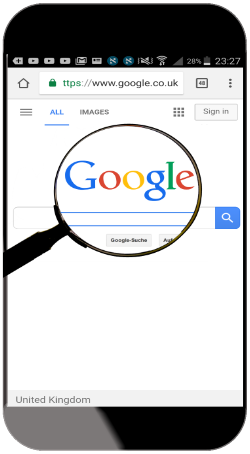 We have to be present on Search Engines and Social Media, and we have to connect. Just being visible is no longer good enough. And what is the best medium to connect online? Of course, it is video. Or, to more precise, it is the right kind of video, the kind of video that perfectly suits our purpose, to win the Zero Moment of Truth. 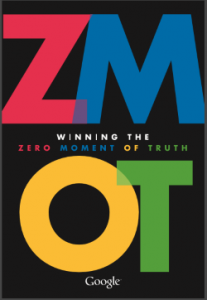 So, are you winning your Zero Moment of Truth? Providing you with the information that empowers you to connect and build trust with your online audience; that helps you get your message right and get it out there with the most powerful online tools available; that helps you come across as a Trusted Advisor on your website and on your social media properties. My aim is to empower by helping you to get it right: create, present and distribute effective videos. This is at the core of my A-Z of Video for Professional Services. Providing you with the information that empowers you to connect and build trust with your online audience; that helps you get your message right and get it out there with the most powerful online tools available; that helps you come across as a Trusted Advisor on your website and on your social media properties. This article was first published on the VideoMagnets.co.uk blog.